Family firms are a closed system. Owner families are often reluctant to bring in outsiders, but those who want to grow do well to bring in external advisors, especially via a team approach. In a new PhD thesis, Judith van Helvert-Beugels has studied how family firms can work with their advisory boards. In a new PhD thesis from Jönköping International Business School at Jönköping University, Mark Bagley has studied the ICT business in Stockholm to draw conclusions about the role of knowledge networks in the emergence and persistence of industrial clusters. 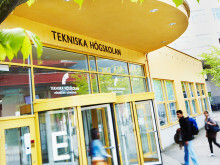 83 PhD students from 24 countries will gather at Jönköping International Business School on 23 January for a workshop on eTourism. 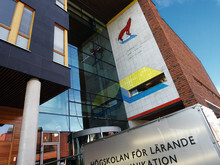 The workshop is held in connection to the 25th annual ENTER conference, taking place in Jönköping on 24-26 January. Sweden aims to be number one in the world in eHealth in 2025, according to the Vision for eHealth 2025 from the Swedish government. In a new PhD thesis from Jönköping International Business School, Sofie Wass describes how patients and healthcare professionals experience eHealth, and prerequisites to realize eHealth innovations. What happens to the integrity and core values of an organization when it is under pressure? In a new thesis from Jönköping University, Sara Ekberg investigates how organizations within the newspaper industry respond to challenges and opportunities. 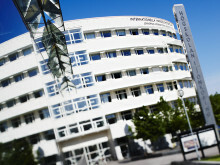 ​A new independent report shows that Jönköping International Business School ranks first in Europe and second worldwide in entrepreneurship research. The Family Enterprise Research Conference starts today, and during the conference Leif Melin, Professor at Jönköping International Business School, will receive the FERC Lifetime Influence and Impact Award for his immense work in family business research. In a family firm, why is it that in some cases external CEOs leave after a short time, while in other cases they stay for decades? 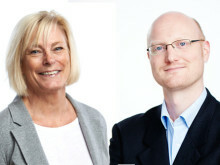 In a paper published yesterday in the Human Resource Management Review, Matthias Waldkirch, Mattias Nordqvist and Leif Melin, Jönköping International Business School, Jönköping University, Sweden, present a new approach for answering this question. 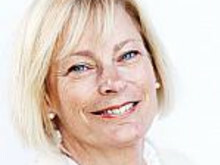 Ethel Brundin, Professor of Business Administration, will take over as the new Associate Dean for Research at Jönköping International Business School on 1 August. ​How do family businesses endure over time and generations? What strategies do they adopt and what is the role of emotions? 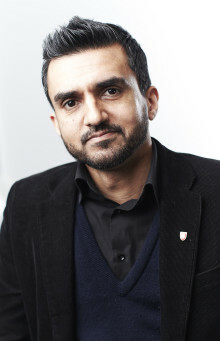 In a new PhD thesis from Jönköping International Business School, Jönköping University, Naveed Akhter studies family businesses in Pakistan to find out what strategies are successful and what makes a business survive through good and bad times. Should the main goal for emerging economies really be to try and copy the way of the West? In a new doctoral thesis, Zehra Sayed challenges the view of “developed” and “developing” countries. As an example she has studied knowledge transfer and knowledge spillover in the media industry, specifically from Reuters to its subsidiaries in India. The Expanding Markets Award marks the end of the master course Advanced International Marketing, Trade and Export Management, at Jönköping International Business School, Jönköping University. 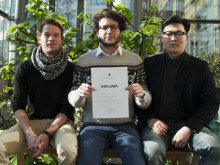 Three student teams were rewarded for having presented the best export and marketing strategy for a Swedish company. The award is sponsored by Business Sweden, ALMI, EKN, SEK, and Swedfund. 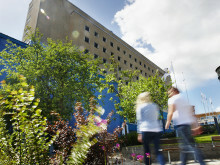 ​The Jönköping University inauguration and conferment ceremony will be held on 21 May. Professor Pramodita Sharma, a world renowned family business researcher, will then be appointed honorary doctor for her important contributions in the establishment of family business research as a management research field. Immigrant women entrepreneurs are not a homogenous group, but their collective stories can tell us something about the intersection between ethnicity, gender and class, and bring together two separate tracks in entrepreneurship research. Huriye Aygören recently defended her PhD thesis at Jönköping International Business School, Jönköping University.